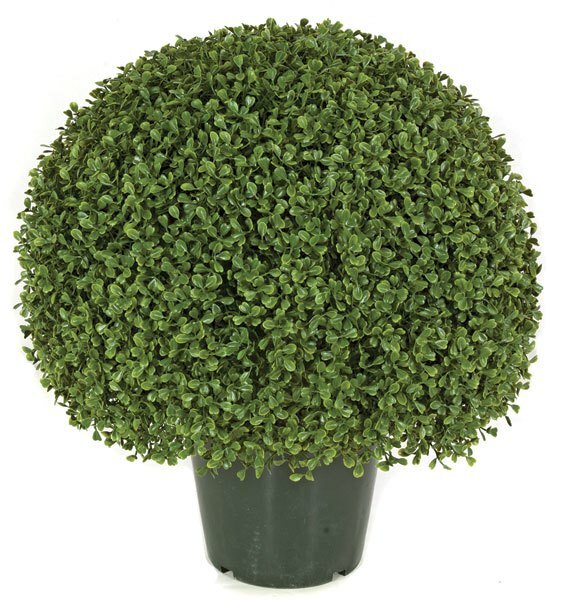 20 Inch Boxwood Ball Topiary with Green Leaves and Wire Frame-Limited UV Protection. Our Topiary has a realistic appearance. Plastic base container included. Adding a decorative base container to match your decor would be a nice addition for a beautiful display.